I am, in a fundamental way, powerless. As a British passport holder who has resided in Catalonia for more than 15 years I have no electoral rights anywhere, save choosing my Priorat village council. The UK says no. 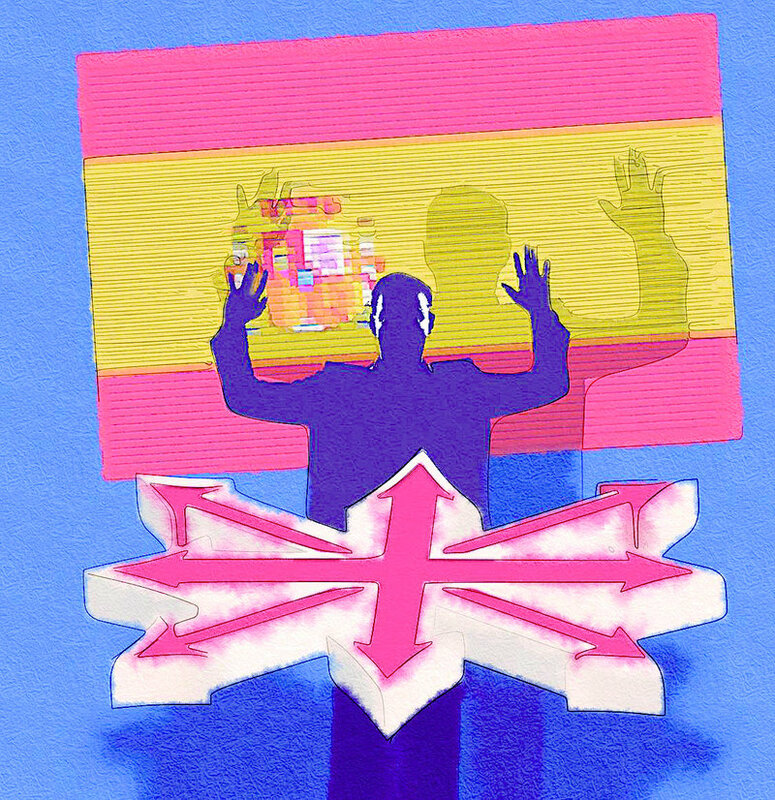 Spain says no. As a UK national who is pro-European and whose work, income and social focus is cross-border, it is no understatement to say that denying me and my partner the ballot regarding Brexit, along with a vast number of long-term European residents, was wholly undemocratic. We are, to put it mildly, directly and negatively affected by the consequences both financially and emotionally yet unable to participate in the process. Now the experience of being disenfranchised here in Spain, where we lawfully abide and pay our taxes, is equally acute. As with Brexit, I have to stand on the side-lines, a witness. I am a journalist who was educated to report and comment on what I see, who had it drilled into him not to participate directly but to question, so this is not an unusual position for me to be in. The rule of the newspaper that I was on back then was that you never joined any organisation or political party, something I always stuck to rigidly during my decades as a reporter and editor; save for one organisation, Amnesty International. There did not, at the time or in the foreseeable future, appear to be any risk whatsoever of compromise. So, yes, I wear a yellow ribbon. I am confounded by the events of the past decade. I wonder at the judgements and proclamations of the Spanish State and judiciary in response to the Catalan crisis, but more importantly, so too must the international community. But first, let’s cut to the quick. Spain cannot afford to lose Catalonia. Economics. Left right and centre. And they make no bones about it - it is unthinkable, wholly unacceptable. Non-negotiable. Full stop. Whatever it takes it is not going to be allowed. And Europe has not been able to face the complex consequences of an independent Catalonia out of Europe and a weakened Spain. Economics. Again. Fingers in ears and hum. But - a very big but - there is the even greater issue, the game changer for good or bad. Public perception. It is always the defining battle ground both at home and increasingly abroad. Where does that leave the politics? As public perception is what qualifies the democratic power-base, so both the elected faces of any government and a nation’s media are centre stage all the time, proclaiming, managing, probing, trying to make sense of the maelstrom of it all in soundbites. It is a highly-skilled and ruthless dance in the spotlight, away from any dark arts of the shadows. What is vital is to keep poise, to keep a firm eye on public perception and always emit calmness, control and certainty. On the big issues you cannot afford to put a word or foot wrong. Sound judgment in all things is essential, and that has to include palpable integrity, reason, flexibility and a capacity to compromise when necessary. Betray anything else, ignore how actions may be judged, twitch, sound arrogant, angry or defensive – worse, be punitive and repeatedly over-emphasize a strength to cover a weakness – then things can rapidly unravel. Dogma will inevitably turn around and bite you. That goes for everyone in office anywhere, whatever party, whatever belief. I question the symbolic declaration of independence but not the democracy behind it. Moreover, I question how Mr Rajoy cannot see that what he and his party have done and are doing in what they believe is the defence of the constitution and the state, given all options open to them, is weakening and isolating Spain by the day. The potential consequences must be dawning on the state as it is on all of us.